Street Chillz returns to Pinjarra Skate Park this Saturday. THE much-anticipated Street Chillz Drug Aware Youth Fest returns to the ramps of Pinjarra Skate Park on April 13 from 3pm to 8pm. Registrations are essential and can be completed online at freestylenow.net/coming-events or from 2.30pm on event day. Murray Shire President David Bolt said the event encouraged sportsmanship, perseverance and creativity and was a great opportunity for the council to attract young people from outside the region to experience the vibrancy of Murray. 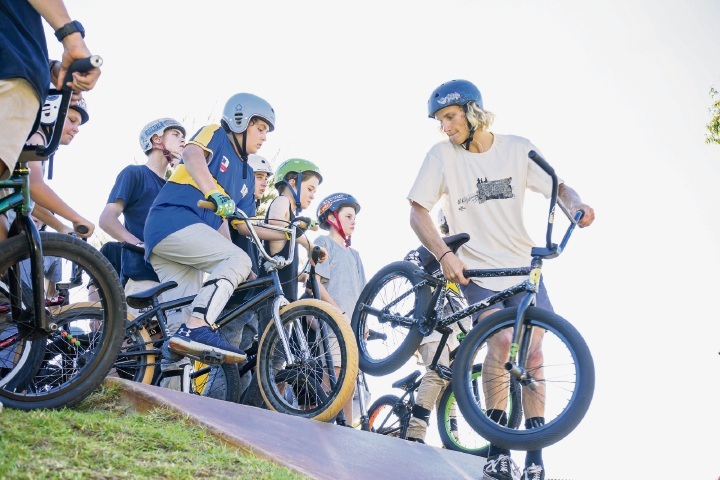 “While providing a platform for young people to demonstrate and be recognised for their skate, scooter or BMX skills, the event also provides an opportunity for attendees to interact with youth service providers,” he said. The Street Chillz Drug Aware Youth Fest will also feature skateboard deck design, a POSCA art workshop, youth hang-out zone, Peel Bright Minds robotics and technology display, parkour workshop and food trucks. For those wishing to exercise their artistic talents, creatives from Graphite Crew will host an Urban Art workshop, coaching them through the production of intricate aerosol designs.